Private sector workers earning more than €20,000 a year will be automatically enrolled in the new scheme, which will see the Government contribute €1 for every €3 put into a State-run pension fund. Workers will not be able to opt out of the system for at least nine months. Employees earning more than €75,000 can contribute to the scheme but they will not be able to put any earnings above the salary cap into their pension pots. Workers earning less than €20,000 will not be automatically enrolled in the scheme but will be able to opt in to the system. Just 35pc of the private sector work force currently have a private pension. 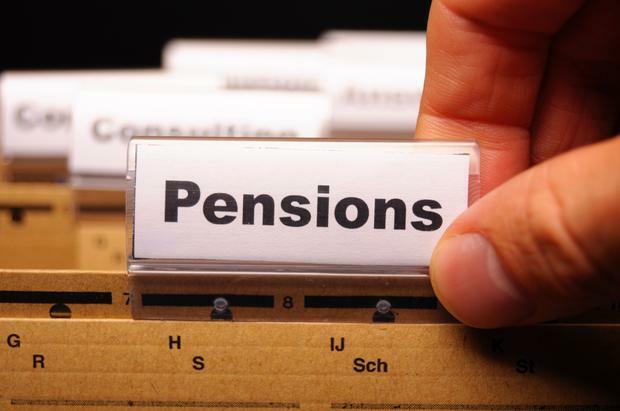 The auto-enrolment scheme, which is being spearheaded by Social Protection Minister Regina Doherty, will be introduced on a phased basis and is aimed at low- to middle income earners who do not have private pensions. The aim is to have workers contribute 6pc of their salary to a State pension pot which would be matched by employers and the State would pay another 2pc. The 6:6:2 ratio of pension contributions will be introduced over an eight-year period. When the scheme is officially introduced in 2022, workers will be asked to pay around 1pc of their salary while the State and employers will each contribute 0.33pc. The compulsory pension system will complement rather than replace the contributory State pension scheme. This means workers in the auto-enrolment system will also be entitled to a weekly State pension payment on retirement. Tax relief on private pensions will not be affected by the compulsory scheme. "We want to make the scheme as simple as it can be and make it equal in value to a tax relief on a private pension and the people we are looking to attract are low to middle income," a senior government source said. Workers with private pensions will also be able to transfer their pension pots into the new State-run system. Those in the scheme will also be able to draw down from their pension pot on one occasion for a significant purchase such as mortgage. This week, Minister Doherty will outlne her proposals for the scheme ahead of a public consultation. Her plans for the scheme will be set out in a ''straw man'' proposal or discussion paper on Wednesday. Government sources said that the minister's proposals were open for debate and nothing in relation to the compulsory pension scheme was set in stone. "It is a high-level draft intended to generate and prompt discussion and improve ideas," the source said. "The intention is to help interested parties conceptualise plausible approaches to auto-enrolment and to facilitate a focused debate around key design issues and how to address income adequacy for retirees," the source added.